Sulphur Spring Conservation Area Outing, Jan 27th. ***PLEASE NOTE*** This event has been rescheduled for Sunday, Jan 27th. The spring flows year round! 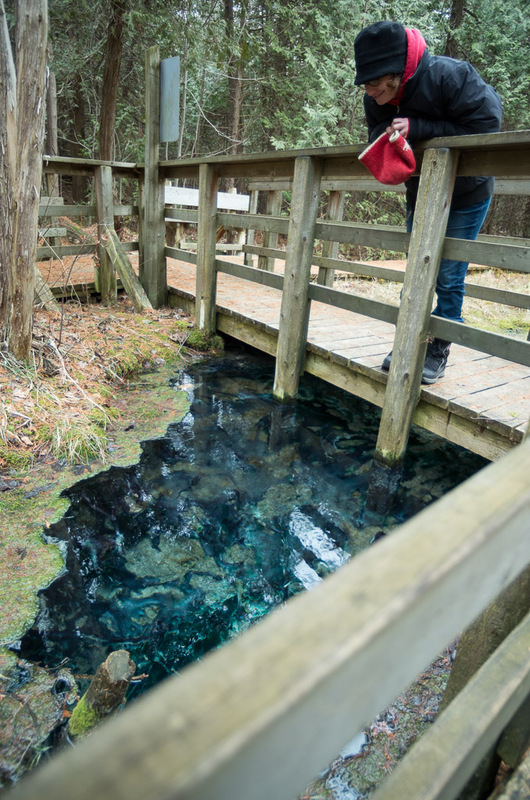 In our first outing of 2019, we will be heading to the Sulphur Spring Conservation Area just south of Hanover. The sulphur spring is a must-see feature in our area – flowing year round, beautifully coloured, and stinky. Randy will have his camera linked to his iPad a live demonstration of the effects of using a polarizer filter. Anyone else who wishes to show any gear, feel free. Carpooling – meet at Tim Horton’s at West Side in Owen Sound by Deals at 11:30am. If you plan to meet there -be at the Conservation area at 1pm. $5.00 car fee – pay with MacKay Paypass system, an app for your smartphone.